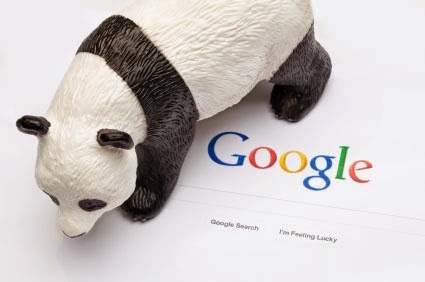 Google has started rolling out its latest update to the Panda algorithm, labelled ‘Panda 4.1’. The search engine has identified a number of additional signals that Panda will use to help reward websites with high quality content and depending on the location, will affect 3-5% of search queries. The algorithmic update has been designed to understand the difference between high and low quality content on websites and in turn provide a boost to the search performance of those websites with strong content and high engagement. As a result of this particular update, Google has announced that there will be greater visibility for high quality small and medium enterprise websites. So once again ladies and gentlemen, this just stresses again the importance and focus that Google is taking on ensuring websites have good quality and engaging content for your end users (not just optimised for search engines but useful to your website users). Make sure you update your website regularly and make sure your website has good quality content. Anyone in the eyes of Google trying to optimise sites and fill it with spammy keywords not relevant or in context purely to try and get top rankings will lose out to sites with genuinely good, relevant and engaging content.